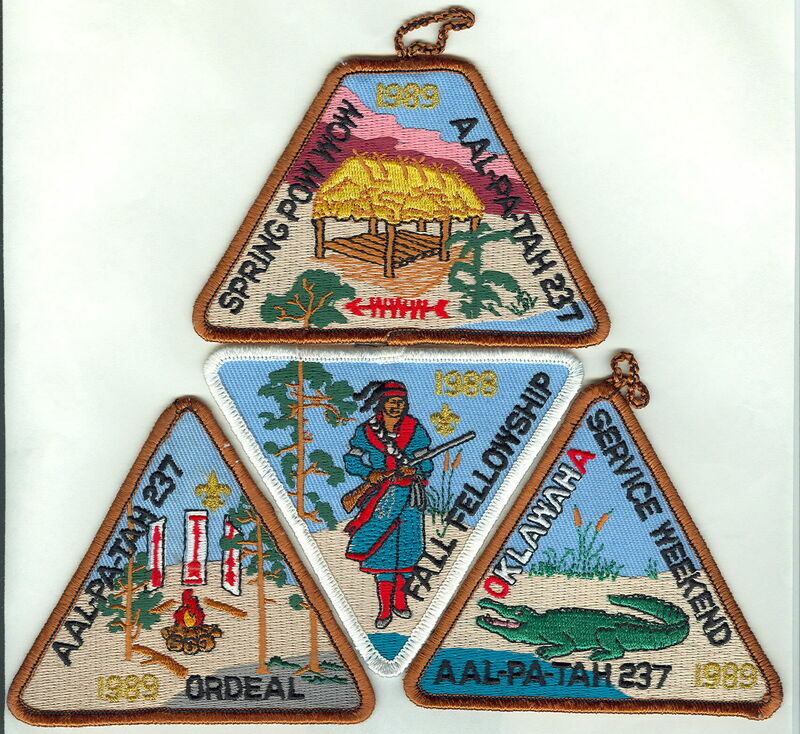 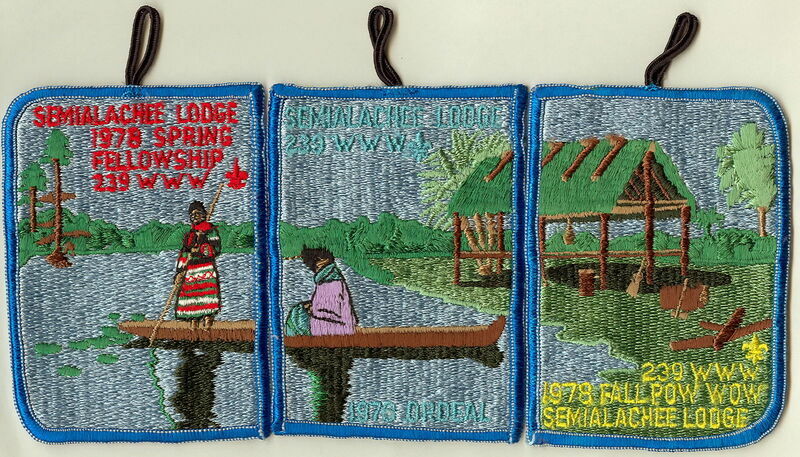 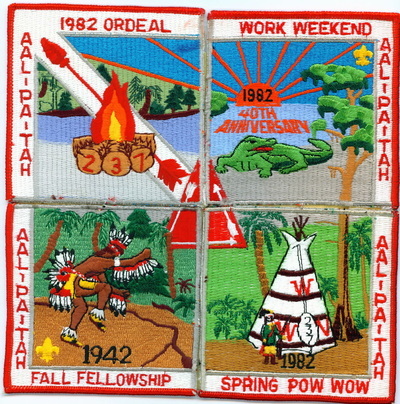 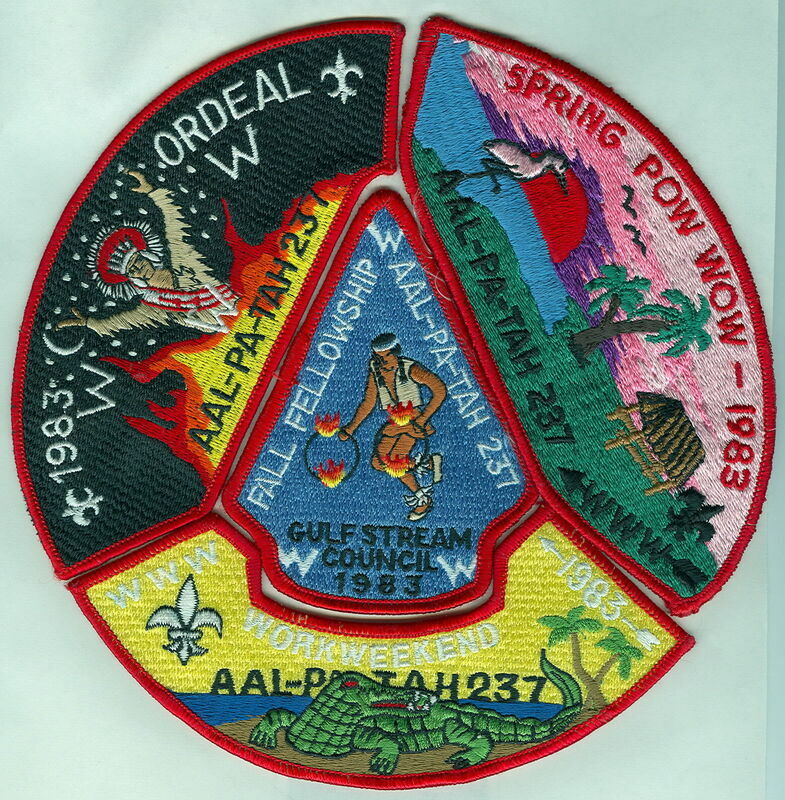 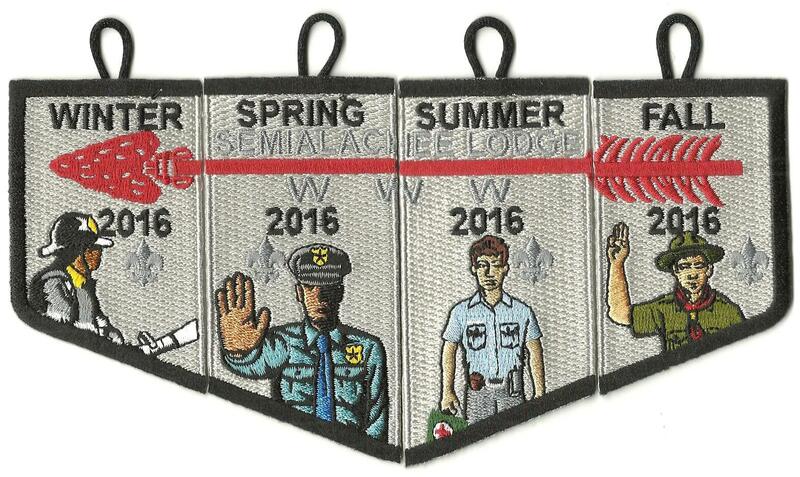 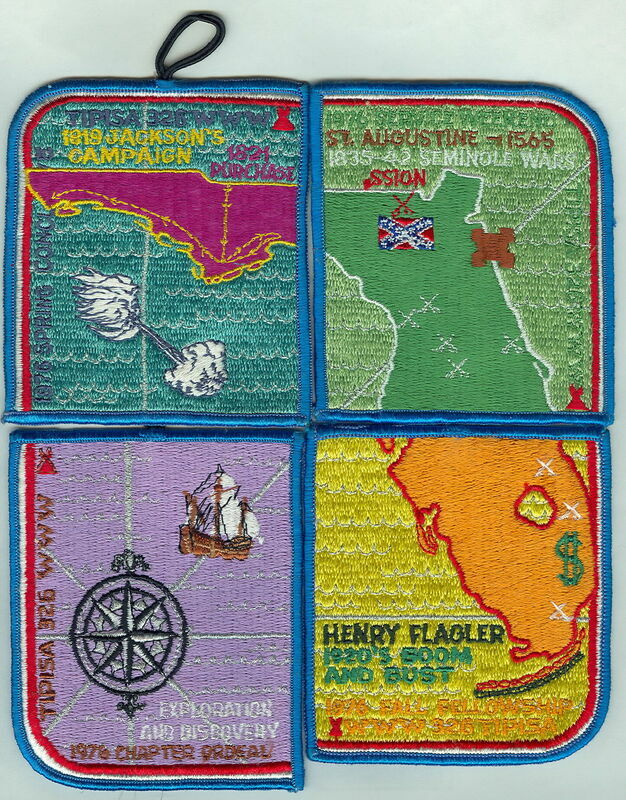 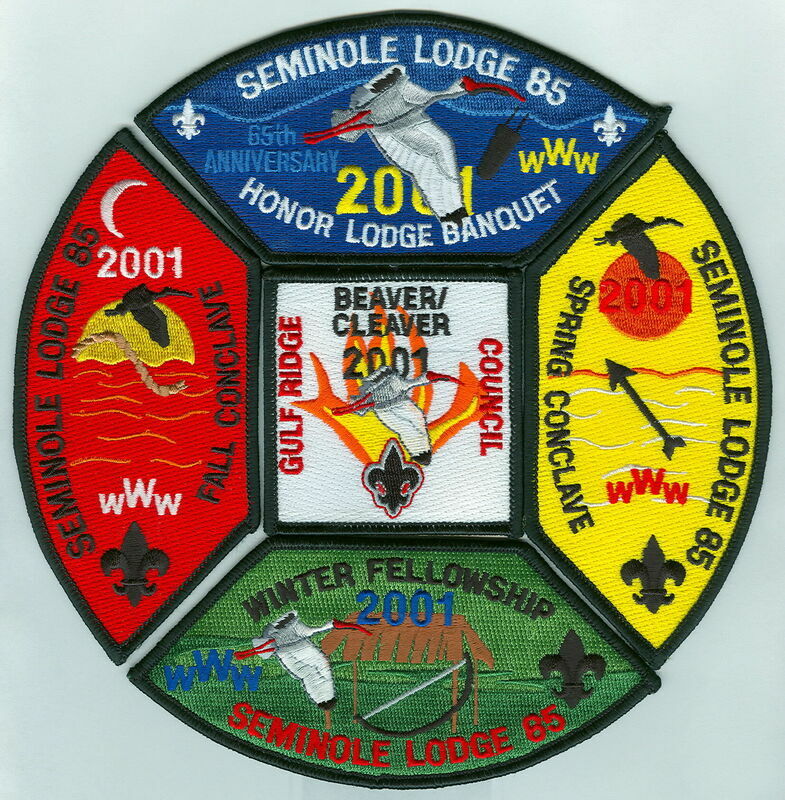 ​ One of the more unusual features of a Florida OA collection are the activity patches issued by each lodge. 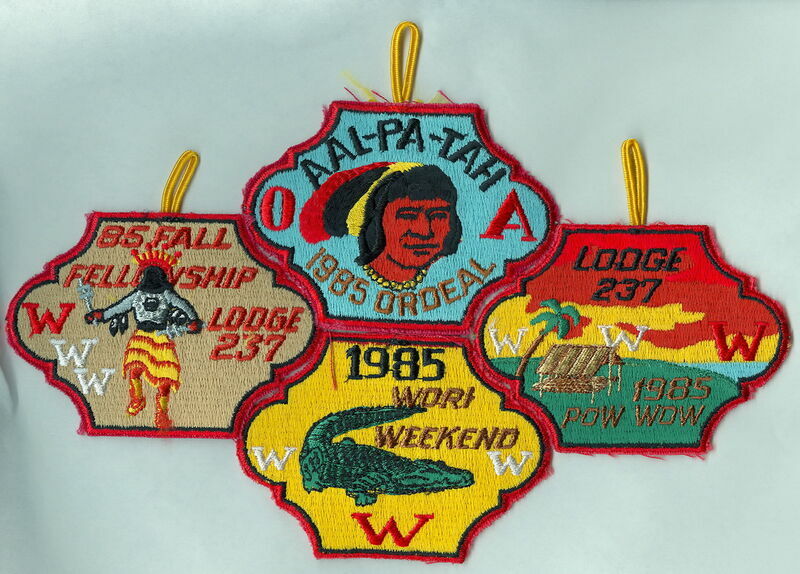 Almost all of the lodges had begun to create an emblem for their weekend events by the 1960s. 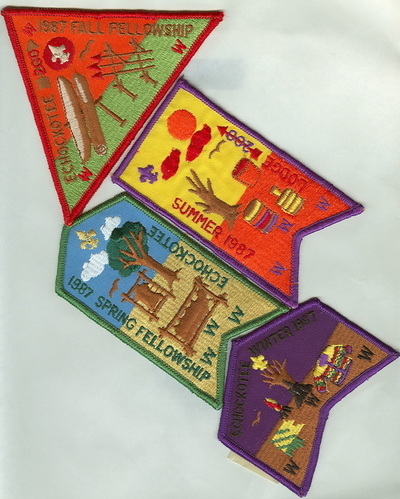 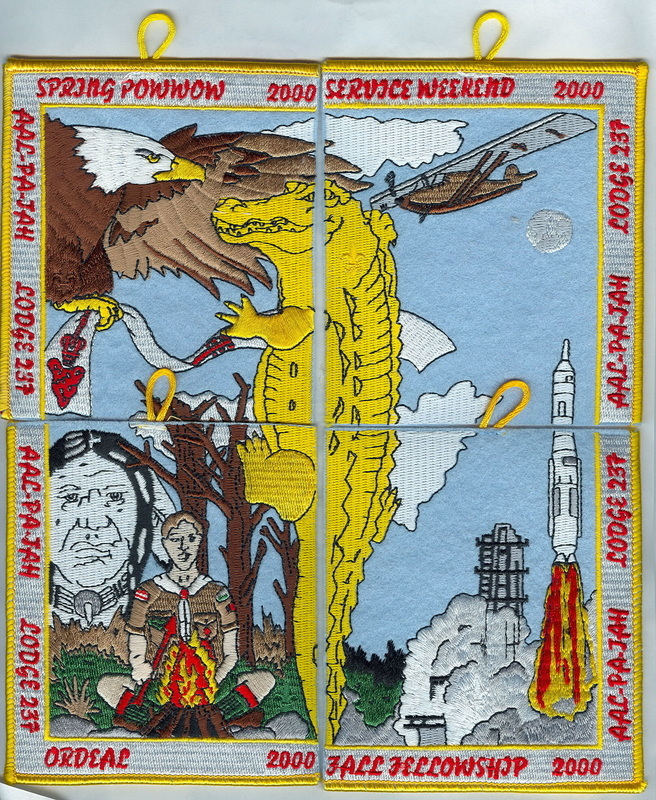 Rather than using generic "camporee"-style or :"BSA sample"-style designs, almost all were unique creations for their lodge members for that event. 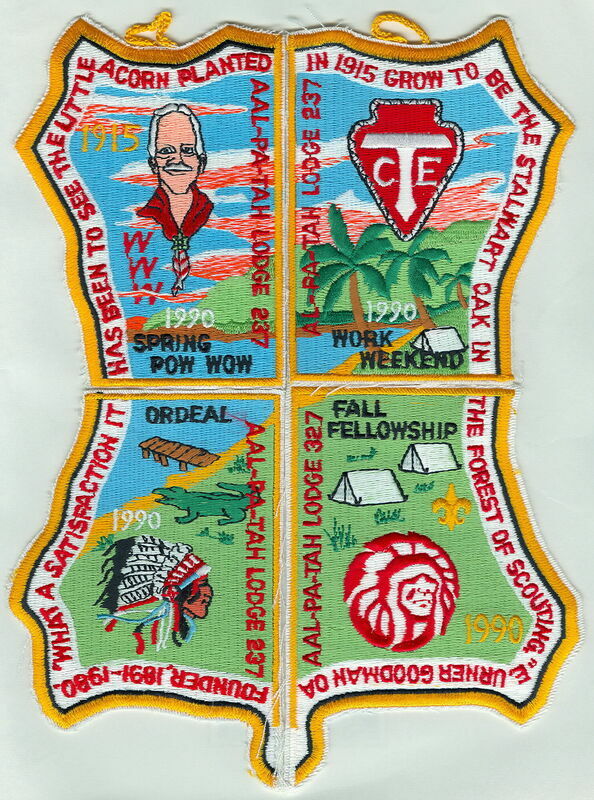 ​ In the 1960s, lodges began to create "sets" of activity patches, either by using the same theme for emblems for three of more events (the Aal-Pa-Tah 237 "dancers" for their Fall Fellowships for 1961, 1963-71, and 1973-76), or for a specific program or calendar year (Seminole 85, the shield shape set from 1968-69). 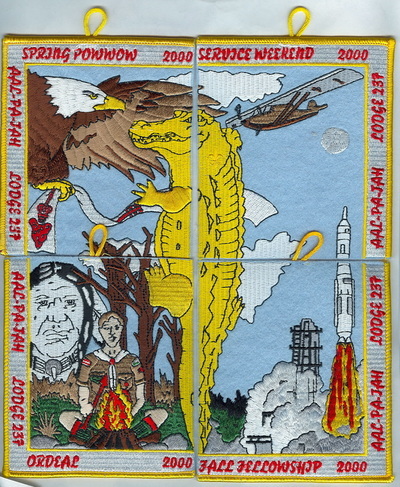 Sets would either have common design features or shapes specific to that set, or depicted a common theme within the patches in the set. 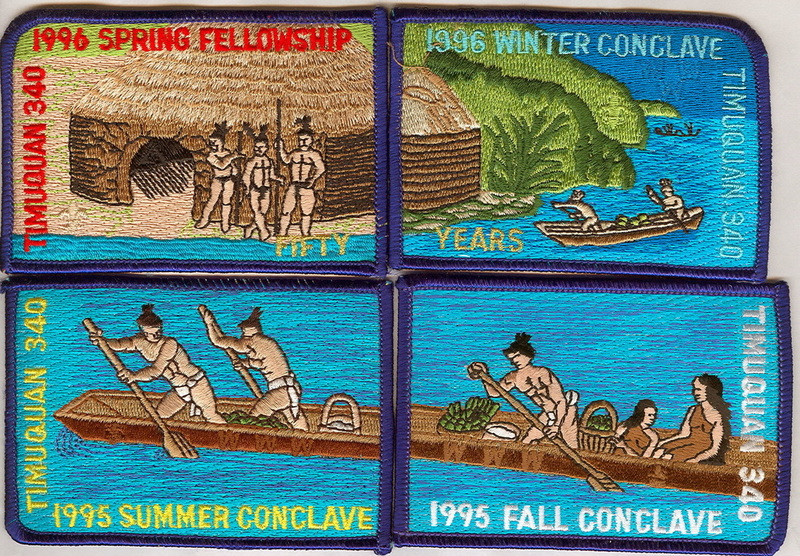 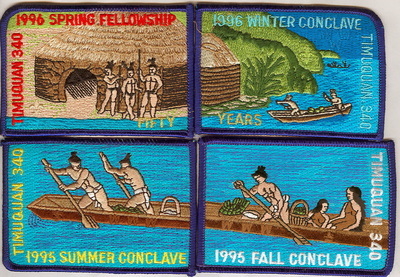 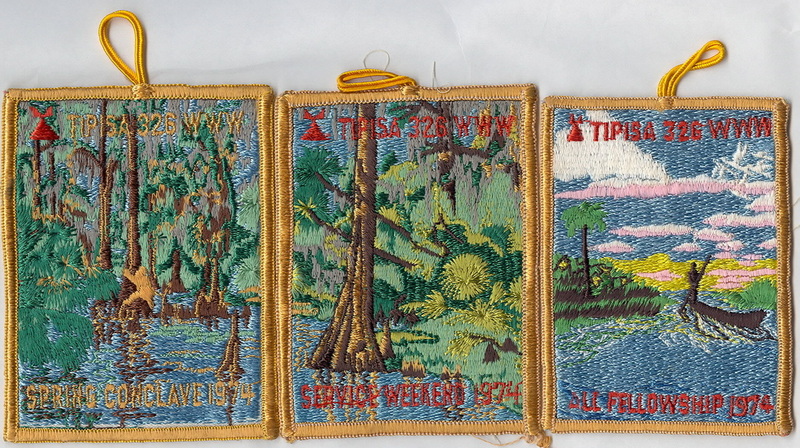 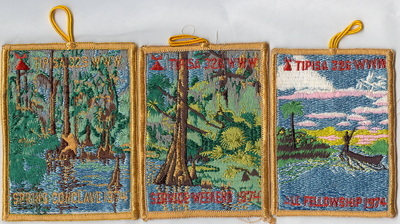 In time, many sets also included a jacket patch, either as an incentive to those that attended all events in the program year (Seminole 85, in the 1960s and 1970s), or for creating an additional source of revenue (everyone else). 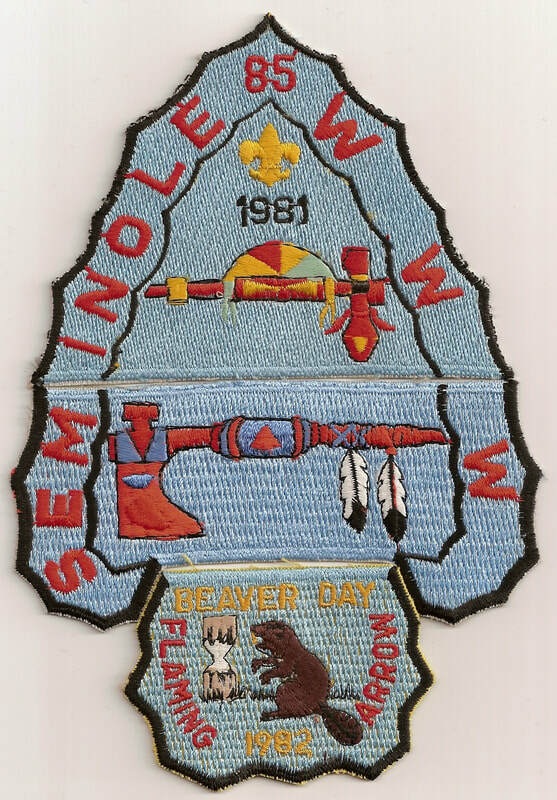 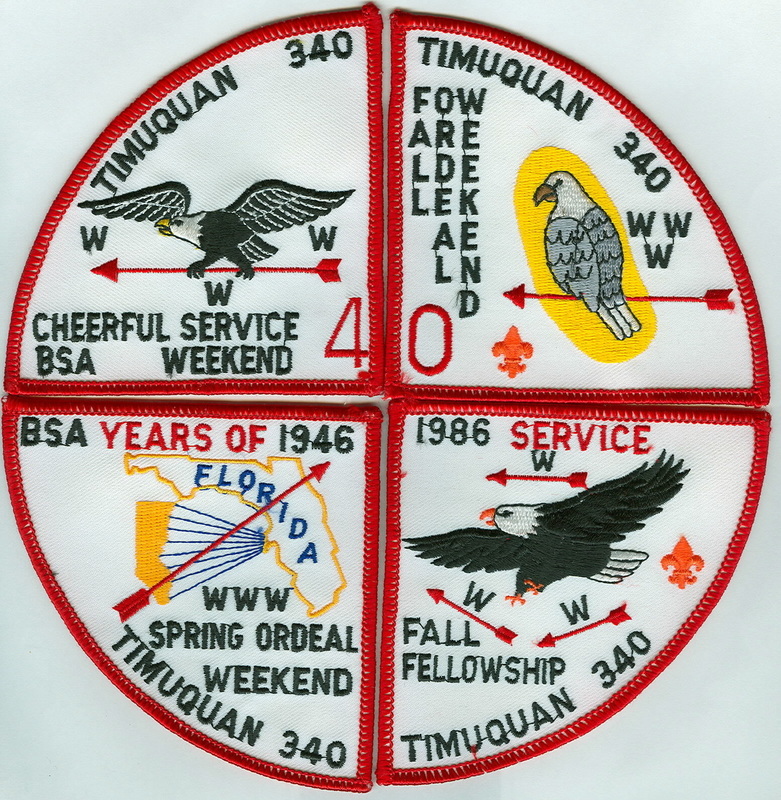 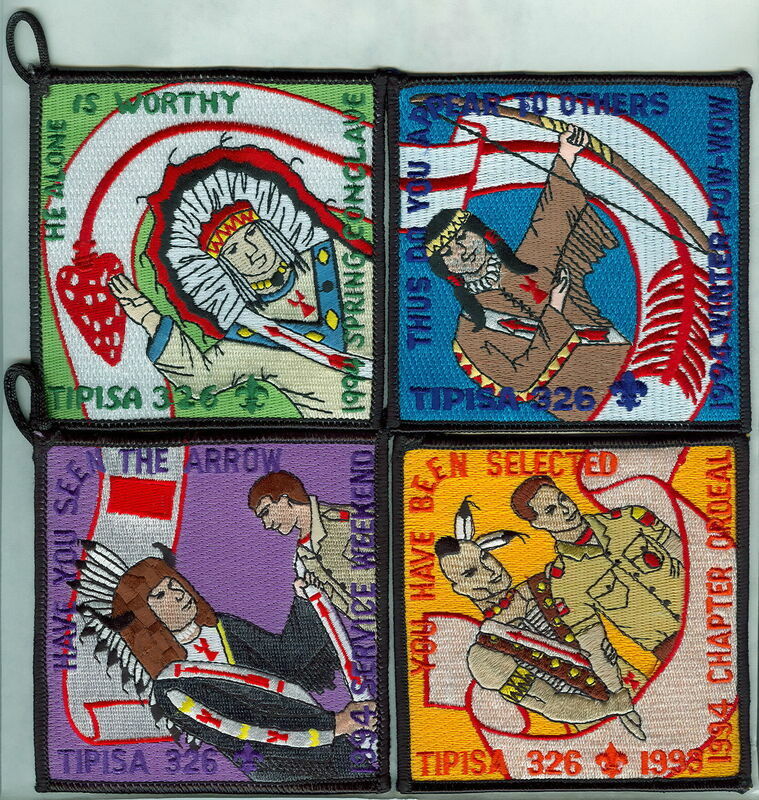 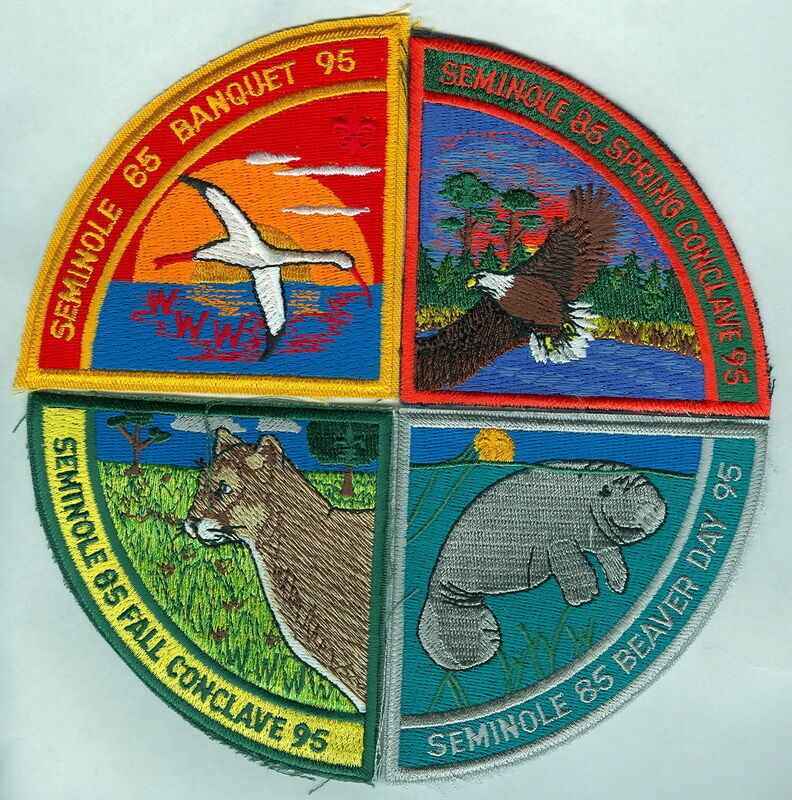 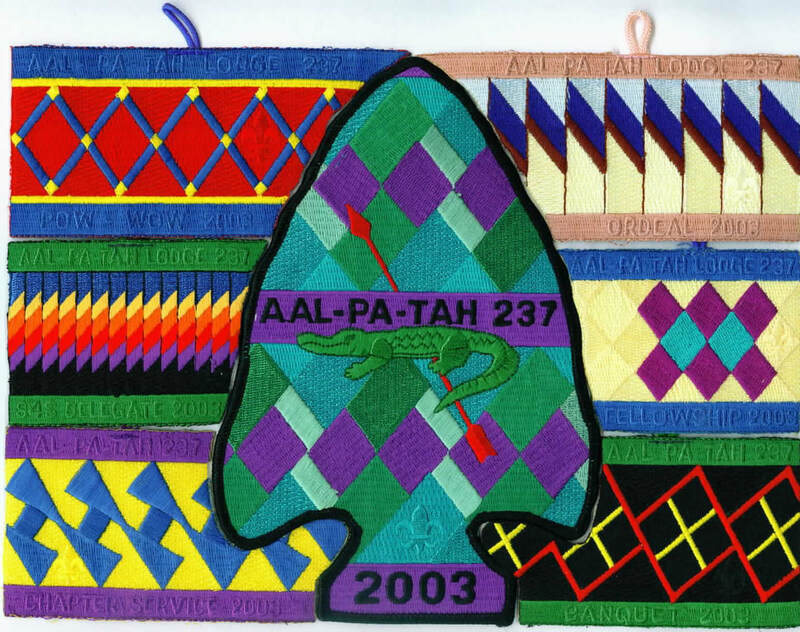 ​ While the custom of a year-specific set began with Seminole in 1968-69, it is often most associated with Tipisa 326, having utilized this concept every year since 1974, and including a jacket patch each year since 1976-77. Depictions of nature, native American, and OA/ BSA themes are the most common, but have still managed to create unusual themed sets, such as insects and pests, space exploration, local buildings and landmarks, and prehistoric animals. 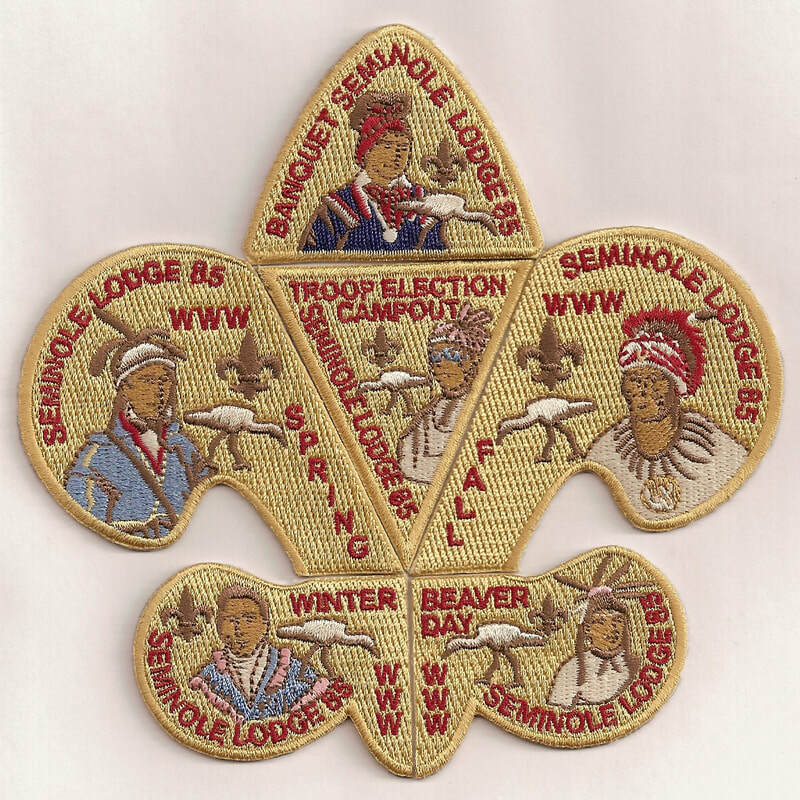 ​ Below are lists of the themed sets issued by the lodges of Florida. 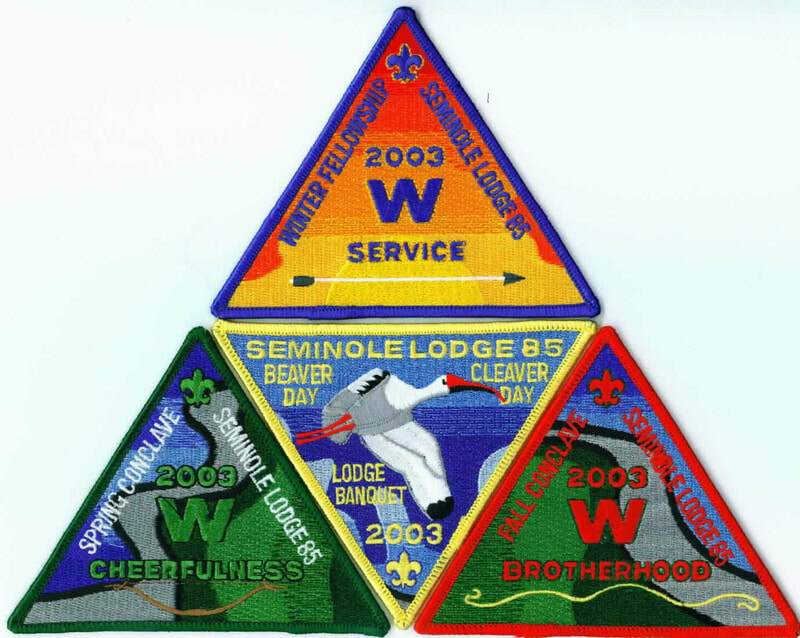 Lists are by lodge, by year, and by themed category.